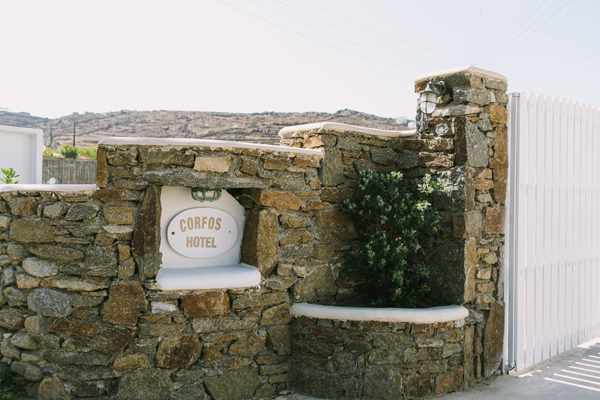 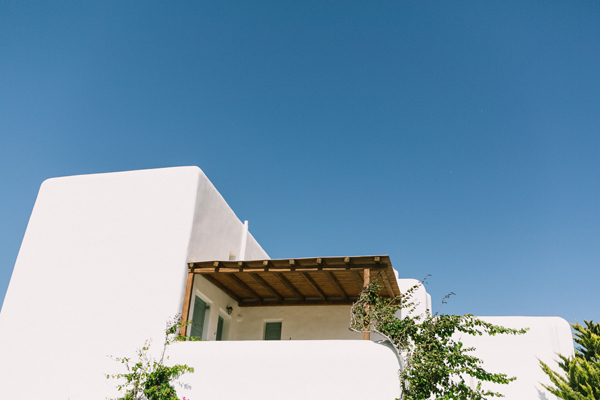 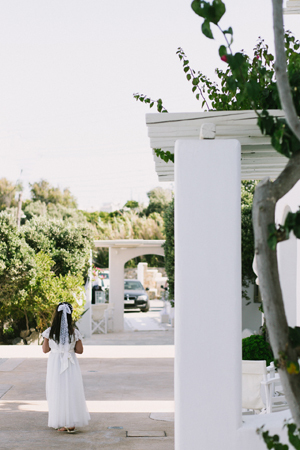 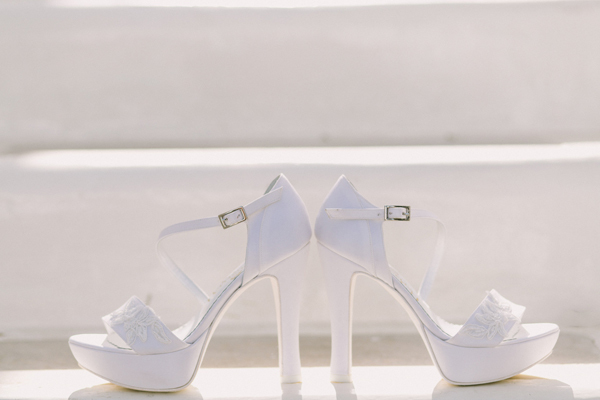 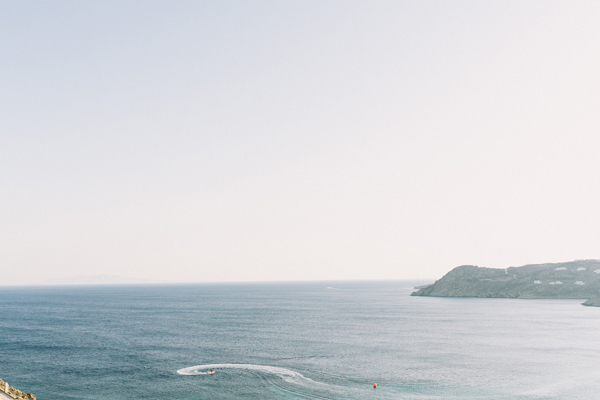 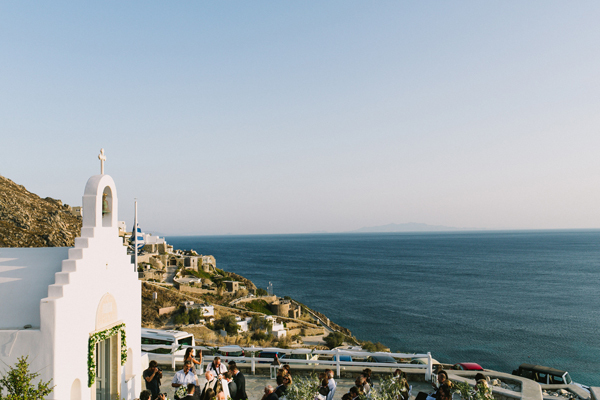 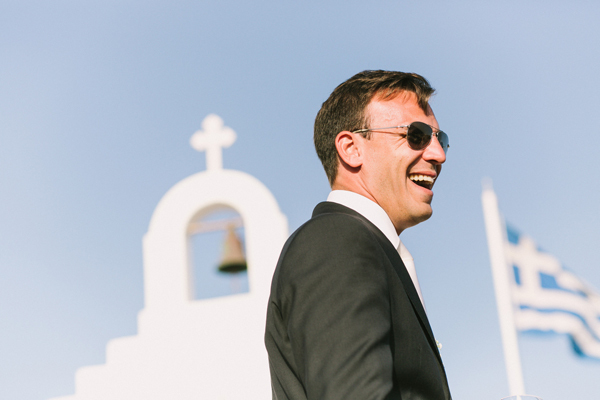 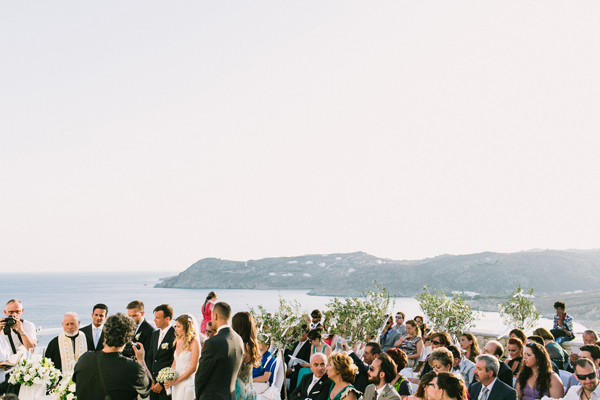 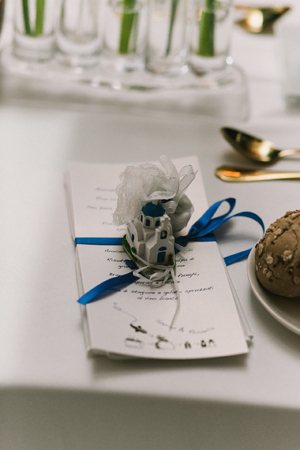 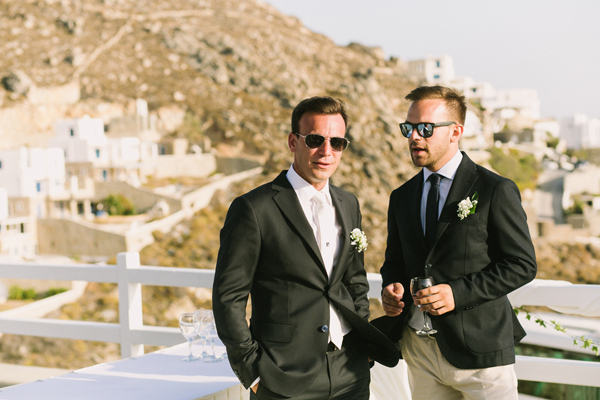 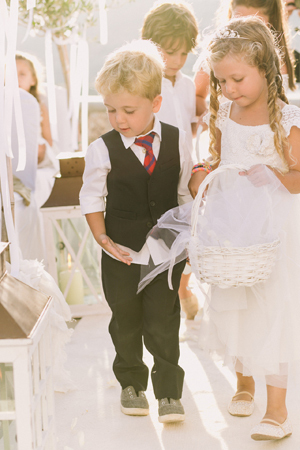 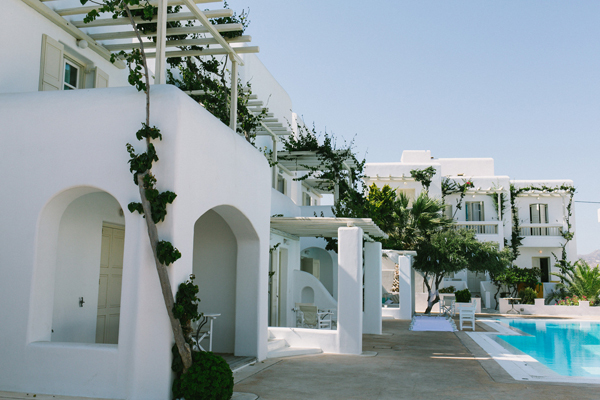 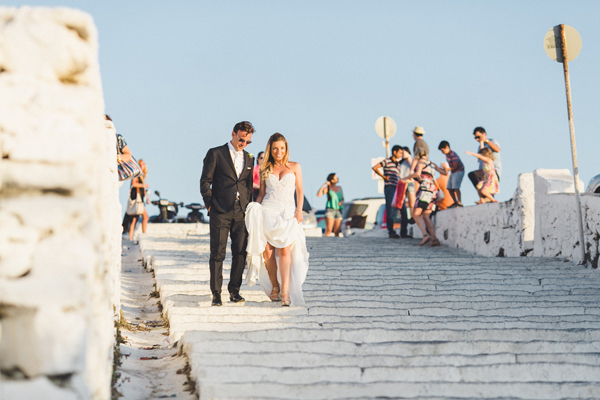 The elegant & chic wedding in Mykonos that photographer Yiannis Sotiropoulos shared with us is just one of those weddings we adore: A charming and romantic love story of a beautful couple that is head over heels in love, wedding decoration details inspired from the greek island colors and… a breathtaking ceremony location! 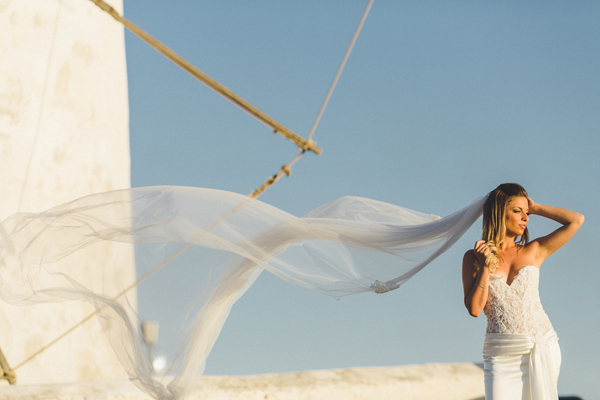 “My wedding dress was a mermaid dress pattern, white color with two different fabrics: on the bottom part it was simple silk and the top was rebrodè lace, very open in the front”. 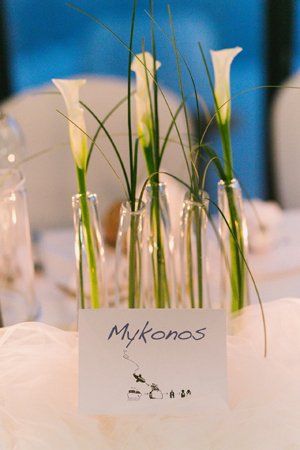 The wedding ceremony took place at the Myconian Collection Hotels & Resorts that situated on an enviable position just above the magnificent sandy beach of Elia. 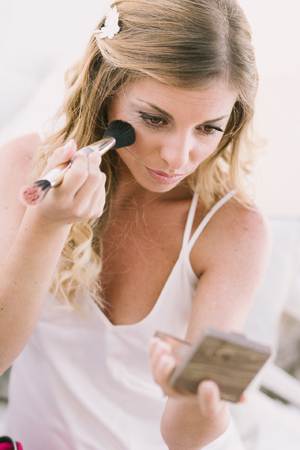 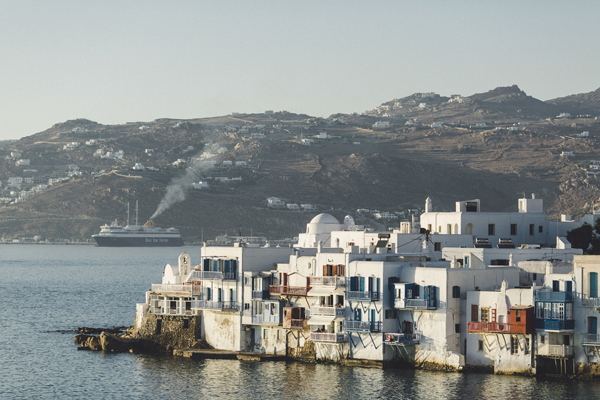 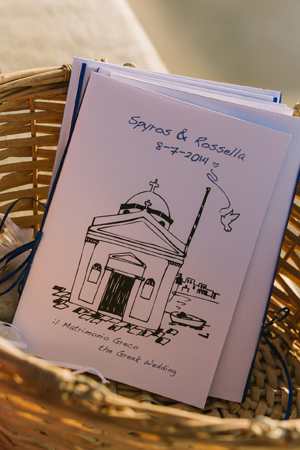 Although Rosella is Italian she always liked the island ofMykonos and she was in love of the idea to have an outdoor Greek ceremony with a fantastic sea view. 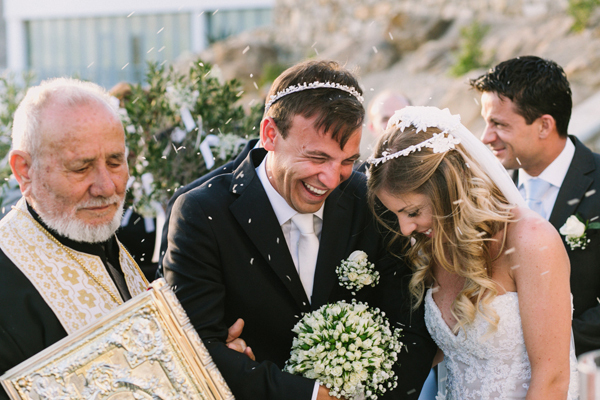 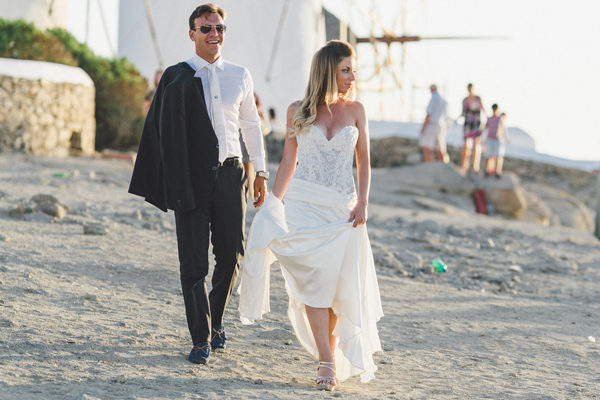 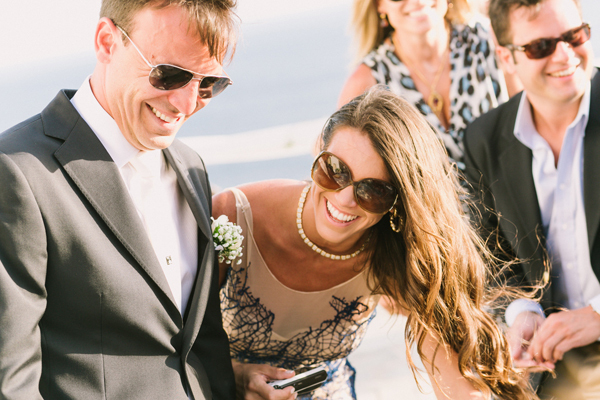 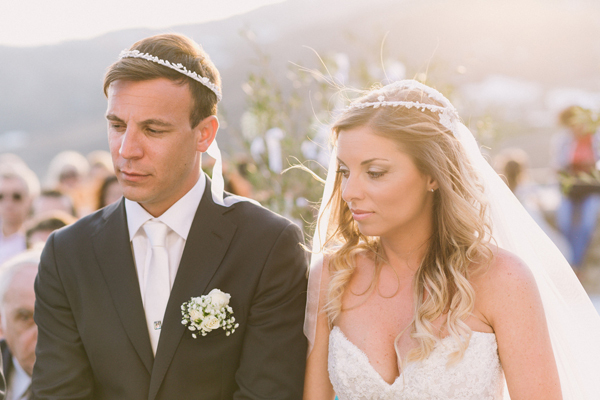 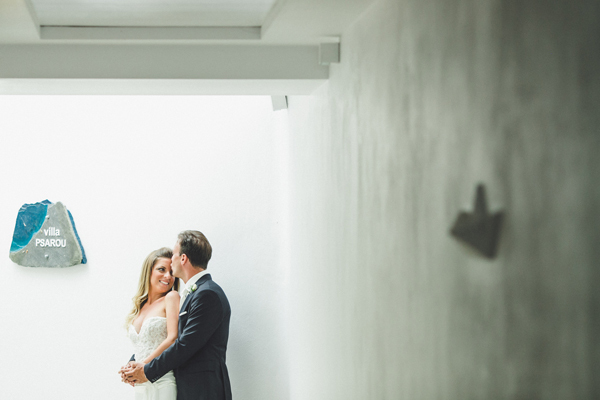 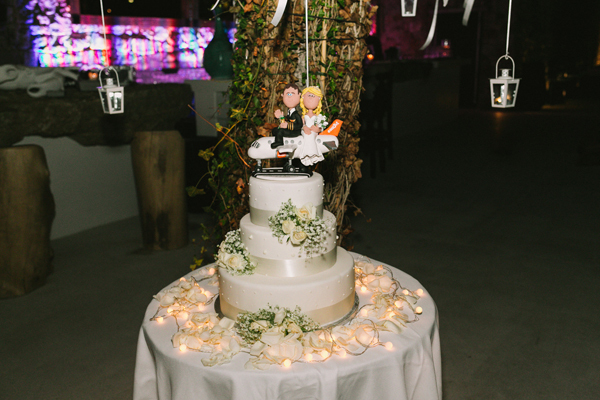 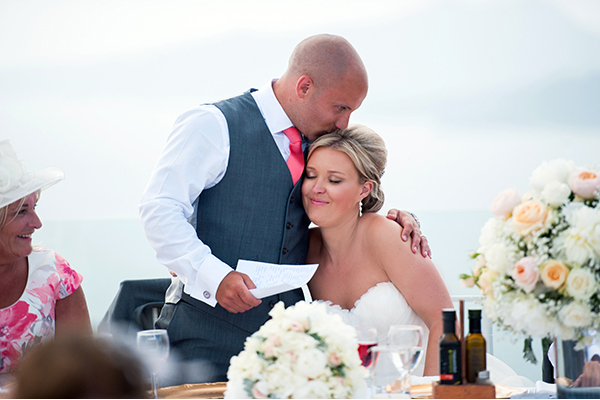 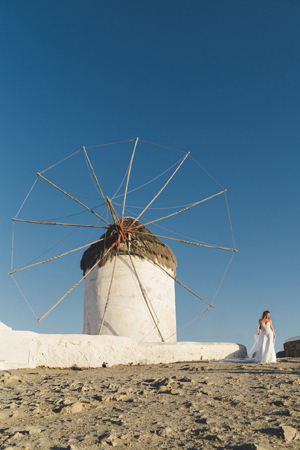 Their wedding planner Margarita Samanoglou from Dream Weddings Mykonos told us: “The groom is a pilot and the bride is a flight attendant at EasyJet… They met during a flight and their love for travel and the island of Mykonos made them decide to tie the knot in Mykonos. 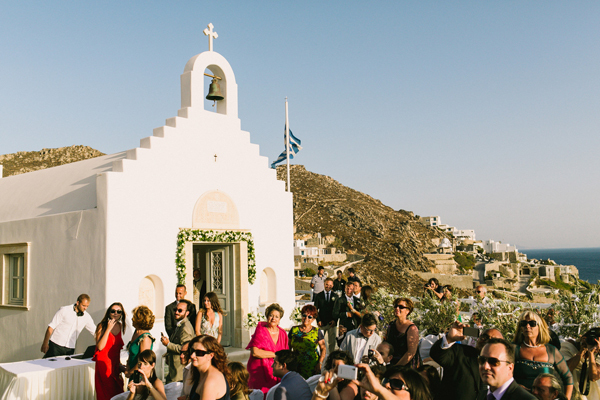 Friends and family from all over the world attended the wedding. 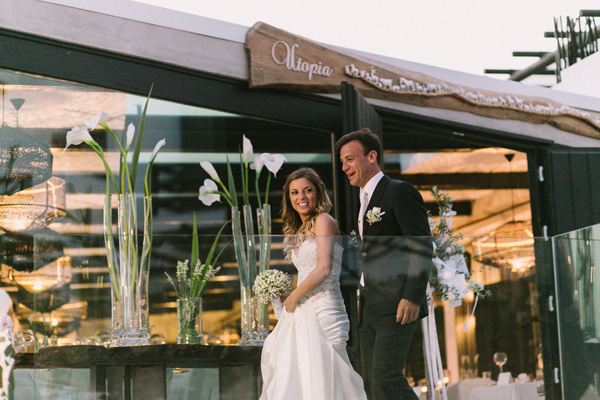 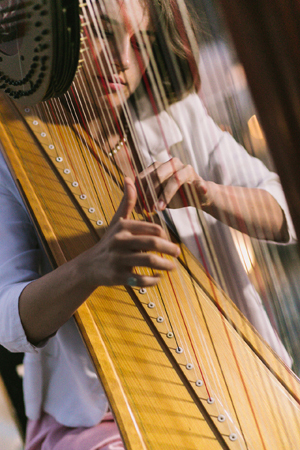 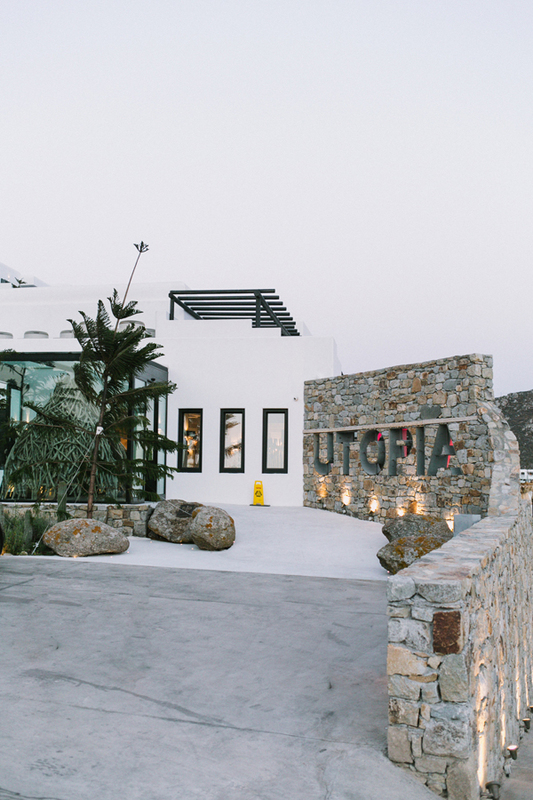 After the ceremony at the chapel on the resort, the newlyweds and the wedding guests were taken to the Utopia Hotel to enjoy the sunset while a harpist provided elegant music and the reception followed at the Pavilion Restaurant”. 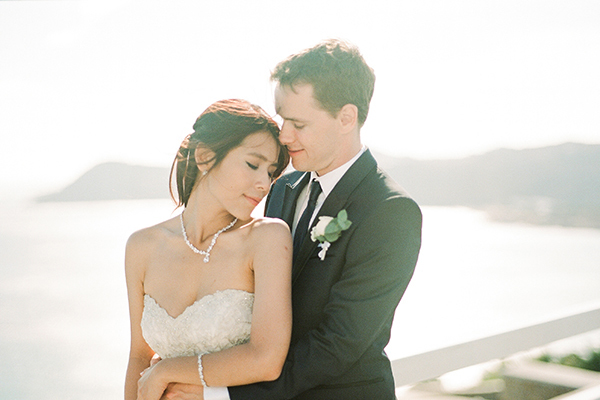 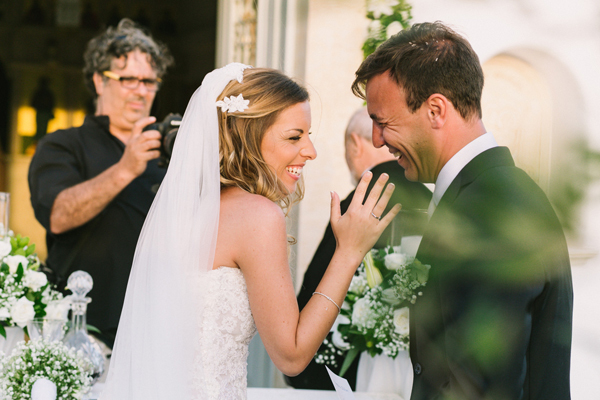 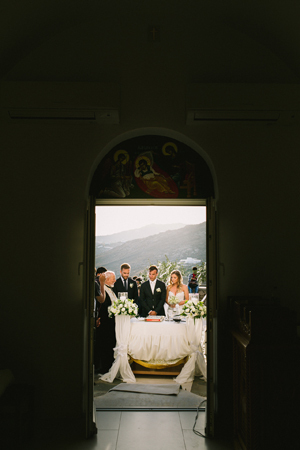 “The best decision we made was the church because after we had seen so many different churches we fell in love with the amazing view of the location”. 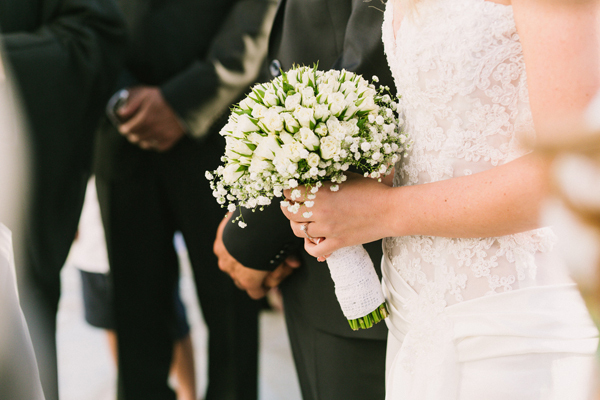 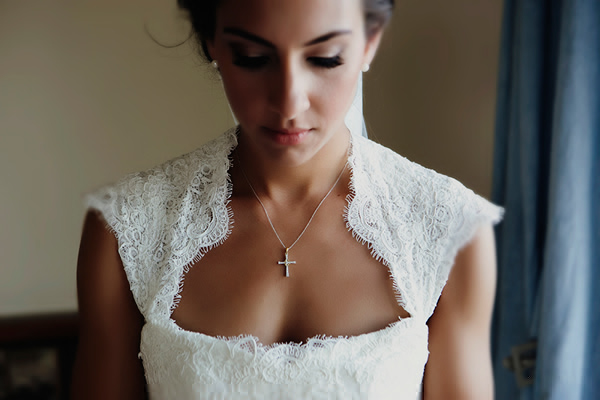 “The best moment was when the bride arrived at the church. 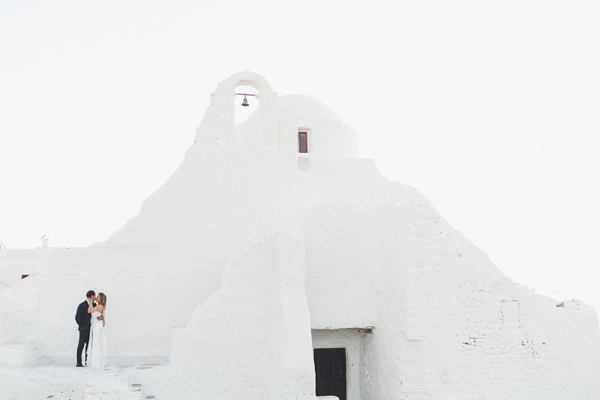 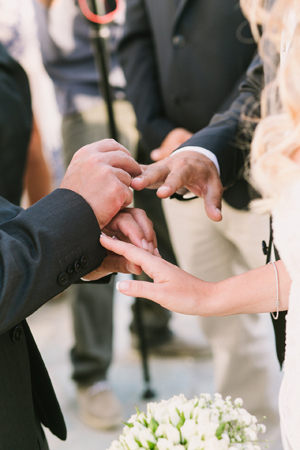 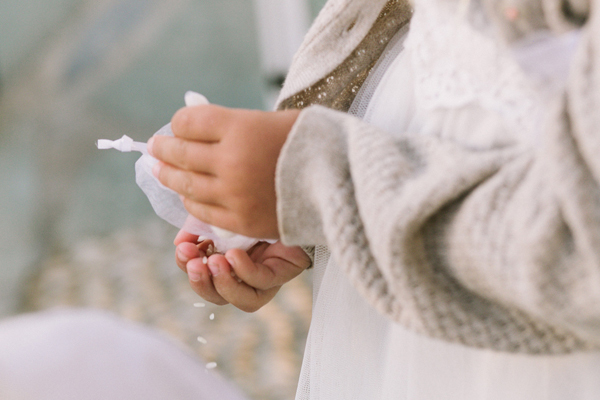 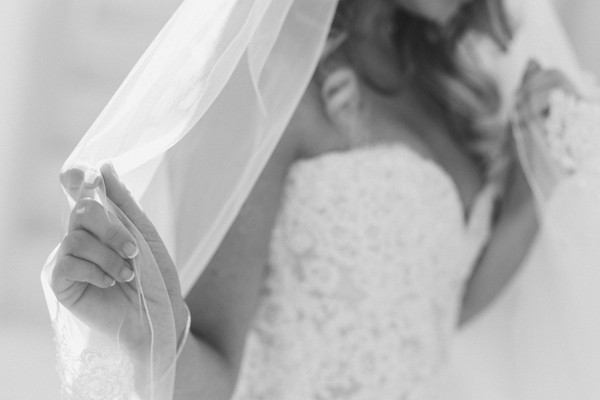 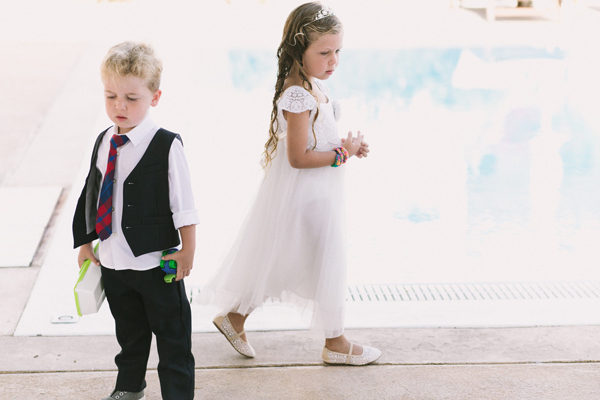 She entered the church from an unexpected location… like she was walking down from the mountain. 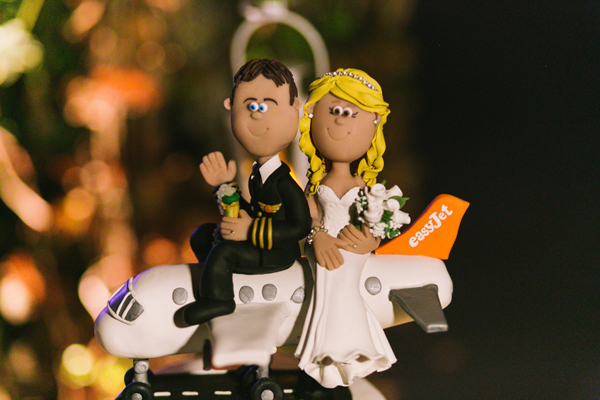 All the guest thought she would come from another direction!”, the groom shared with us. 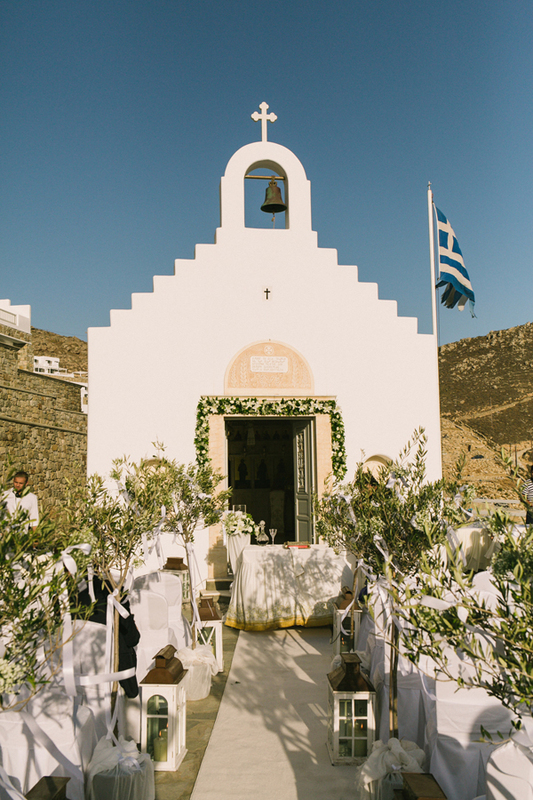 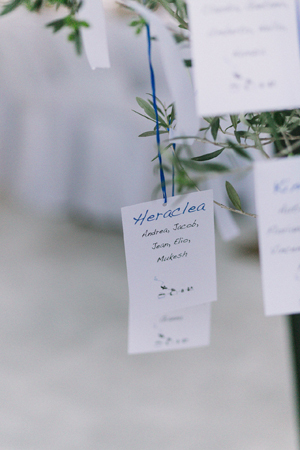 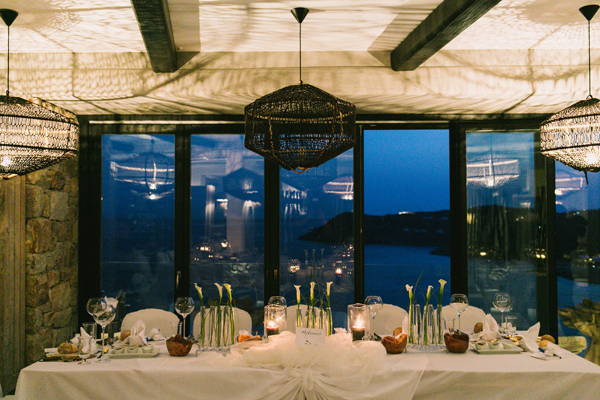 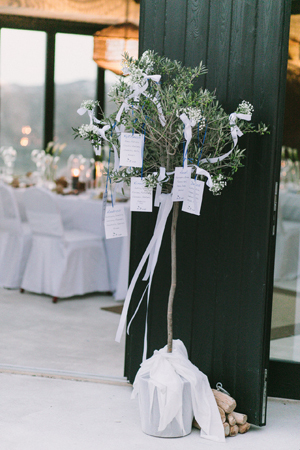 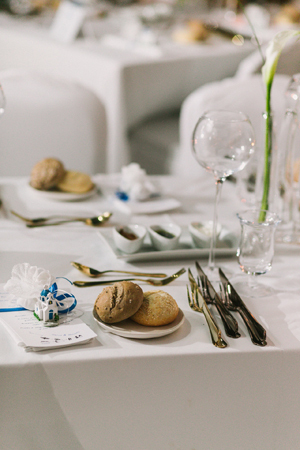 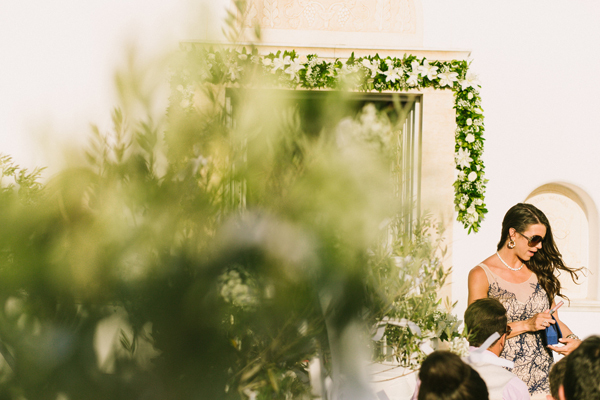 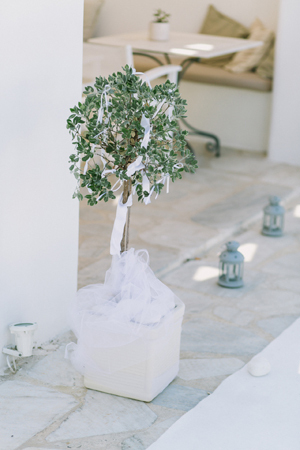 The elegant & chic wedding in Mykonos had beautiful elements inspired from the location:candles, lanterns, simple white flowers and olive trees.